This is a 13 week old Black Copper Marans pullet. 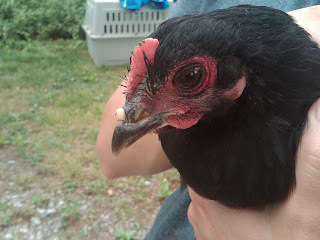 About a week or so ago I started noticing a bump forming on the top edge of of her beak between her nostrils. 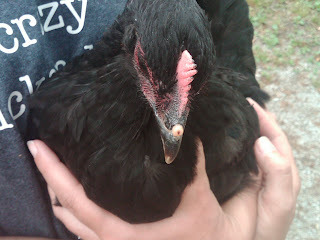 It is hard (like a wart, not like her beak) and doesn't seem painful. She is in a pen with other chickens but none of them have this problem. I have seen where a few other people in the past have posted this same question with very similar photos but so far I have found no clear answers as to what it is. So I'm hoping someone can pipe in with some insight, if nothing else can anyone tell me how their chicken is doing long term with the wart? Does anyone know if it is hereditary? Contagious? Does anyone know of any good poultry medical resources I could look for to hopefully learn more about this issue? Had you found any answers yet? It seems like I've heard of something that mainly affects turkeys, but cannot remember the name. Turkeys got blister like sores on their faces and necks. Maybe chickens cant get it, too. My chicken has the same thing! it turned black after a while. I need answers too!